Around the rebuilding of the temple a heap of stones. Restoration and excavations continue to be for a long time. Start Restore put the Dutch in 1918. 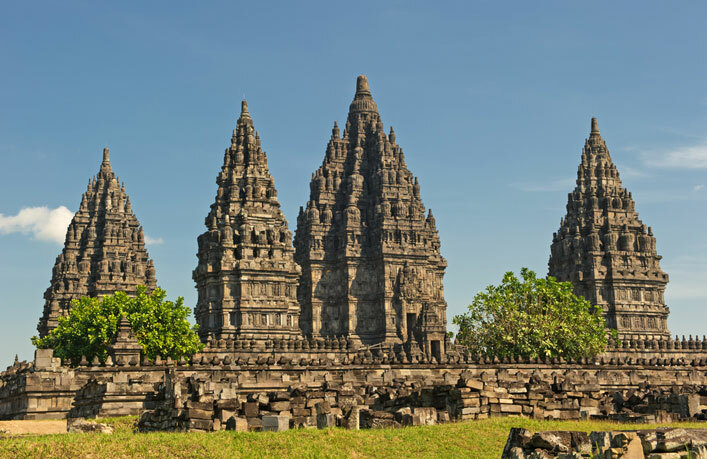 In 1956, the main stage of the restoration was completed, but the temples were simply made of stones, without any solution, so after every earthquake that Java is not uncommon for churches suffer. 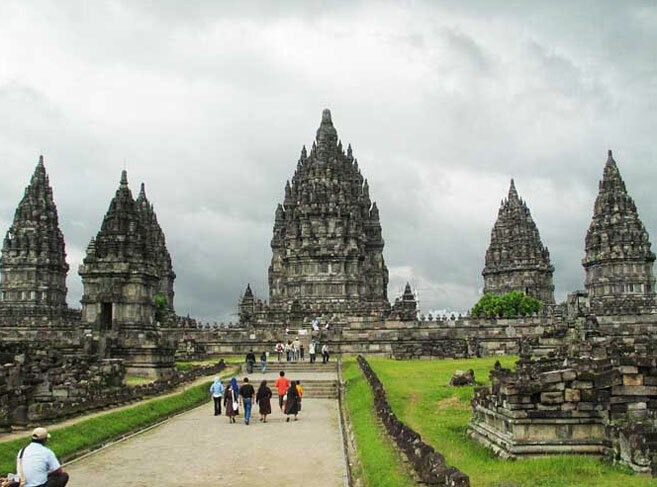 In the center of the complex is a 47-meter temple Loro Dzhongrang, the largest in Indonesia Shiva’s Temple . 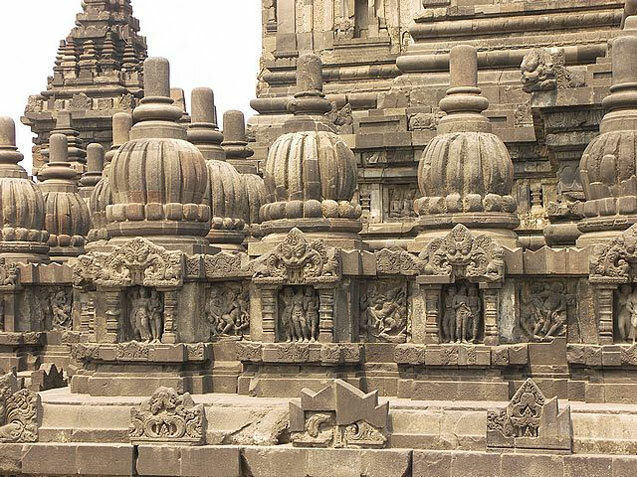 Around are smaller temples in honor of animals Nandi, Angsa and Garuda. In Hinduism, Garuda – Sled bird god Vishnu, and in Buddhism – one of the symbols of the enlightened mind. Garuda Indonesia is the national symbol. Also, this name is called the largest Indonesian airline. 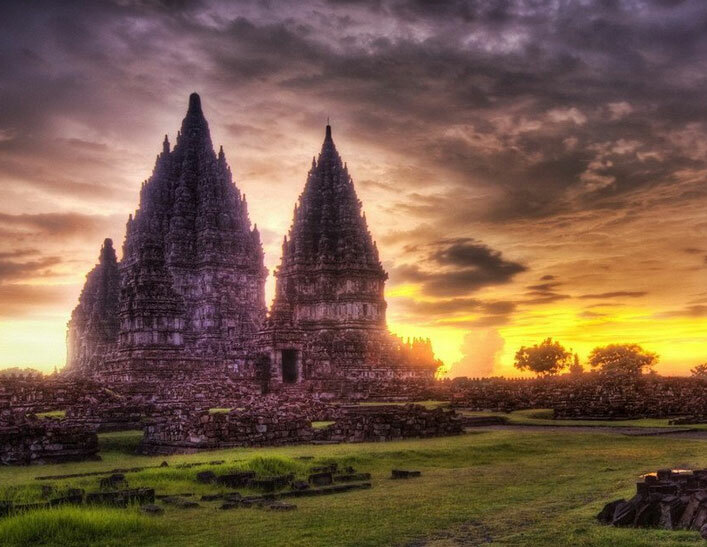 Just like Borobudur, Prambanan also recognize the hierarchy of the temple zones, spanned from the less holy to the holiest realms. Each Hindu and Buddhist concepts has their own terms, but the concept’s essentials is identical. Either the compound site plan (horizontally) or the temple structure (vertically) are consists of three zones.